The Law Faculty of Charles University was formed in 1348 as one of four faculties of the newly established Charles University. Presently, with more than 4500 students, the Faculty of Law is the largest accredited law faculty in the Czech Republic. It has a fully accredited Master´s Programme taught in Czech; a Doctoral Programme can be taken either in the Czech or English languages. 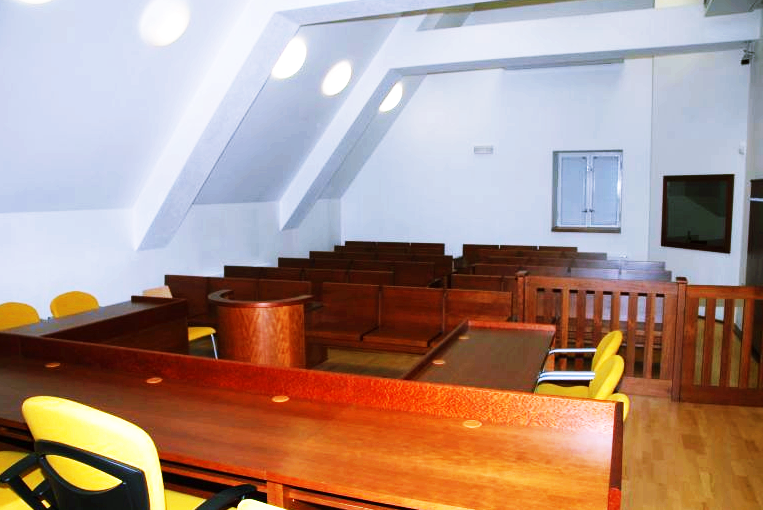 The Faculty also provides LLM courses taught in English. Many Law Faculty alumni hold prominent positions within the justice system, in central and local administration, within the Ministry of Foreign Affairs, in public service and also in private legal practice and private businesses. The Law Faculty building is a monument of modern architecture. It was built by Czech architect Ladislav Machon (1888-1973), a representative of modern classicism and functionalism. The construction was carried our between 1926 and 1929 in accordance with the development design from 1914 made by Jan Kotera (1871-1923), an architect of international significance, who was a leading figure of Czech modern architecture. The interior of the building is Machon’s own work. Charles University was established. It was made up of four faculties - the Faculties of Arts, Medicine, Law and Theology. At the Faculty of Law the leading subject was Canon Law. 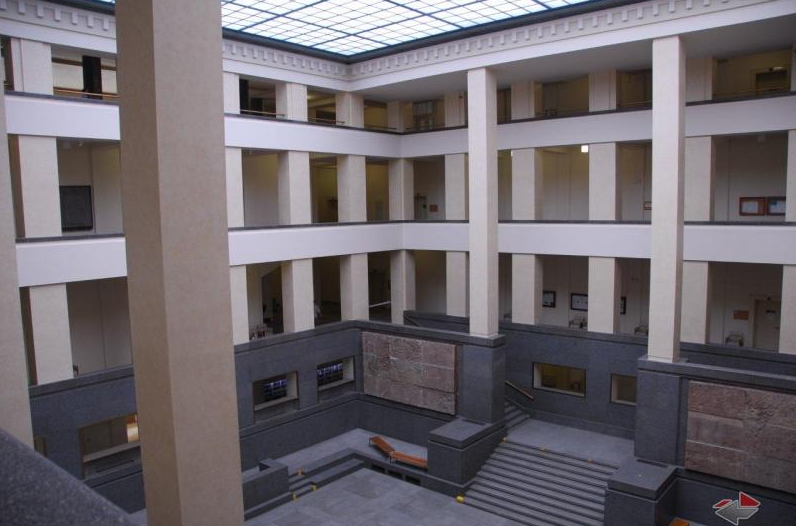 Since the beginnings of Charles University disagreements could be seen between the Faculty of Law on one hand and the remaining three faculties on the other. They disagreed mainly on the rules of the University's administration and control. An open conflict between the Law School and the other three faculties resulted in the formation of an independent University of Lawyers (i.e. the University of Canonists) which, especially in the first 20 years of its existence, was an outstanding institution of international reputation. The turbulence at the turn of the 14th and 15th centuries and differing attitudes towards the reformative endeavours of some church officials led to the culmination of the conflict between the two Prague universities and consequently to the decline of the Law University which eventually came to its end in the year 1419. The establishment of Karl-Ferdinand Universität (through the merging of the Jesuit College and the re-establishment of Universitatis Carolinae in 1638) initiated new developments in legal instruction. Besides Canon Law, a new branch of Natural Law began to take shape. The length of legal studies was extended to five years, and gradually, new subjects and Chairs emerged (e.g. Natural Law, Criminal Law, State Law). The position of Extraordinary Professor of Czech State Law was established. In the Enlightenment period, the absolutism of Maria Theresia's and Joseph II's reign progressively diminished the corporate nature of the University and its Faculties, and eventually led to the introduction of a new office of the Director of Studies as an instrument of bureaucratic control over education and transition towards state-controlled academic studies. The Faculties and Universities were transformed into state educational bodies serving primarily to educate future state and public service officials. The four-year studies of law were defined as studies of a legal and political nature. The issue of the General Civil Code of Austria made a key impact upon legal studies by bringing about a shift towards positive law instruction in Prague, as well as in other locations. The revolutionary events of the period led to a certain degree of relaxation in forms of state control over the University; gradually its status as a corporate body became restored and legal studies were defined as the studies of law and theory of the state. The reform of legal studies was enforced by Leo Thun-Hohenstein, the Minister of “Cult and Education”. It was in essence a) the approximation of the law faculties in Austria and those in Germany which resulted in multiple contacts within the academic world as well as the beneficial influence of legal positivism coming from Germany, and b) the introduction of a new programme of studies which divided the instruction into two blocks: historical (including Roman Law), and positive law. The demand for parallel instruction in Czech alongside German language was raised. In the 1870́s there were already lectures taking place in Czech and the faculty became divided along language lines. The division of the Karl-Ferdinand Universität into the Czech and German universities came into effect. The period between 1882 and 1918 was a pioneering era in the history of Czech legal sciences, which culminated in the establishment of an independent Czechoslovakia. The formation of an independent Czechoslovak state brought about a new dimension in the development of the Faculty of Law, which as a research centre contributed to the codification and unification of the legal system in the new state. The new building of the Law Faculty was opened on the embankment of the Vltava river in the centre of Prague. It was designed by the outstanding world-known architect Kotěra and built by his colleague architect Machoň.